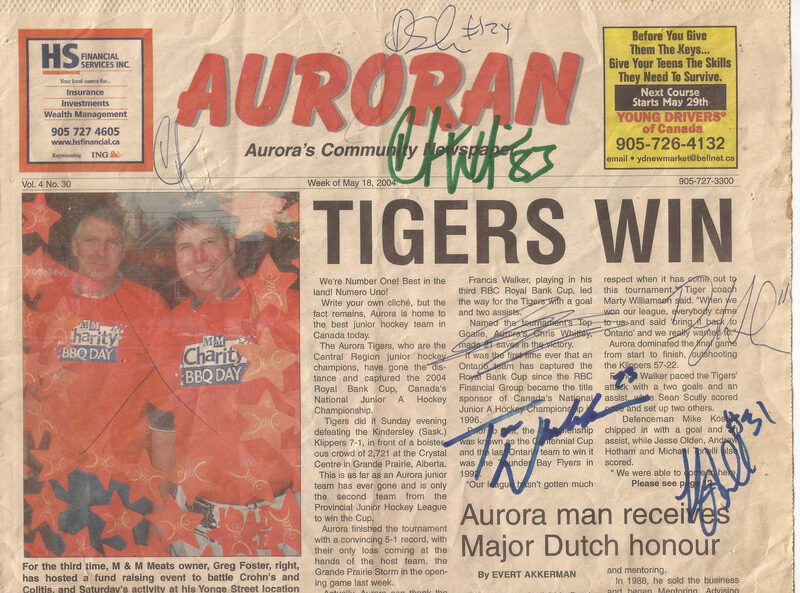 In 2003-2004, the Aurora Junior A Tigers had an unbelievable season with a 47-2-0-0 record. They won the Buckland Cup as the OPJHL playoff Champions, the Dudley Hewitt Cup as Central Canadian Champions and finally, the Royal Bank Cup. For the first time ever – A junior team from Aurora wins the Canadian Junior National Championships!